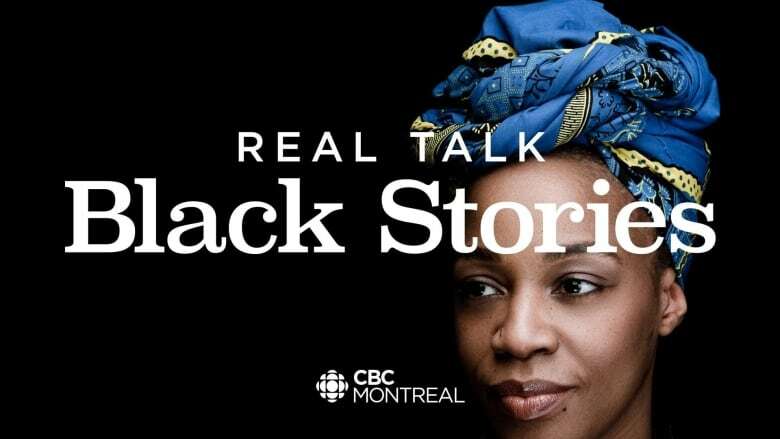 In honour of Black History Month, CBC Montreal brought seven storytellers together for a live, tell-all event. In honour of Black History Month, CBC Montreal brought seven storytellers together for a live, tell-all event at Le Ministère on St-Laurent Boulevard. Each Montrealer braved the stage to tell a true, personal story — some for the very first time. "To be blind to another person's culture is to never know the person you say you love." Deborah Forde is a 2019 Black History Month Laureate, community leader and theatre artist. While she spent much of her youth picking the wrong type of man (''I was a certifiable Captain Save-A-Bro''), Forde outlines the perks of dating after 50, and the deep satisfaction of finding love at last in the digital age. "10 minutes from now I'm going to meet my dad for the first time. And I'm not very happy about it." Darren Schilling is the founder of the sketch comedy troupe, Potentially Sketchy. Here he shares his story about the worst Christmas vacation of his life. Roen Higgins works with at-risk youth in Montreal. She's well-equipped for the job as a former at-risk teenager who narrowly escaped a very different destiny. Here's her story, Behind Closed Doors, about how she stood up to the system and fought for her education. "When I found out that my friends were going to have 'Oshiroi,' I wanted it too." Candace Amarante was four years old when her father moved the family to Tokyo, Japan. "We stuck out like sore thumbs," Amarante says of the experience. While she holds a PhD in Political Science from Columbia University, Amarante has left academia to pursue writing children's books. She brings us Whiteface, a story she experienced during her childhood while her family grappled with integrating into a very different culture. Dr. Myrna Lashley is the first black Associate Dean at John Abbott College. She's also a professor in the department of psychiatry at McGill University and a researcher at Montreal's Lady Davis Institute. She chuckles through her multi-layered tale, On Ice, about her first encounter with ice skates as a new immigrant to Canada. When Balarama Holness sustained a Lisfranc injury after signing on with the Montreal Alouettes, he was crushed. He knew he'd lose his position if the team's management found out about the fracture, so he didn't tell them. Instead, Holness invoked a long-forgotten superpower to pull himself out of a potentially career-ending predicament. Balarama Holness is currently studying law at McGill University in Montreal. If you're having trouble reading the quotation above, that's because it's a phonetic transcription of Jamaican Patois. As a 2019 spokesperson for Black History Month in Montreal, Pat Dillon-Moore brings us an adventure story intended for the ear. She has been a longtime contributor to Montreal's black community theatre scene, and is also a radio host, emcee and performer. Carrie Haber is a senior CBC television, radio & podcast producer based in Montreal.